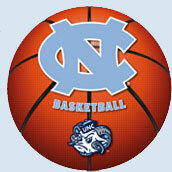 UNC Tar Heel 2011-2012 basketball schedule download. Put the Tarheel basketball schedule into MS Outlook or other calendar programs. The program is loading this year so don't miss a game. Below you can download the University of North Carolina Tarheels basketball schedule and import it directly to your MS Outlook calendar. With built in reminders that will alert you just before the game, you'll be sure to catch all the Tar Heel basketball action. The basketball schedule comes in a CSV or comma separated format and can be modified in MS Excel or other spreadsheet application.